We will ask you to choose different elements of the funeral, and offer advice to you – every step of the way. 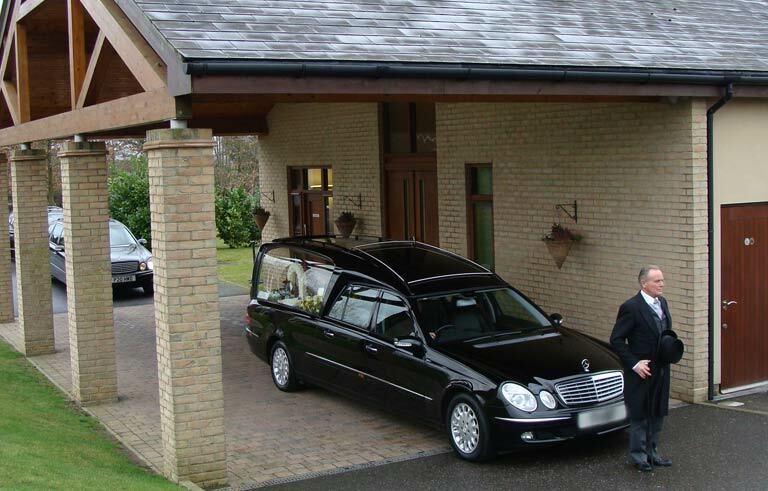 Harold Wood Funeral Services has always been a company comprising family and friends, where trust is paramount. We offer the same care and advice as for a friend. 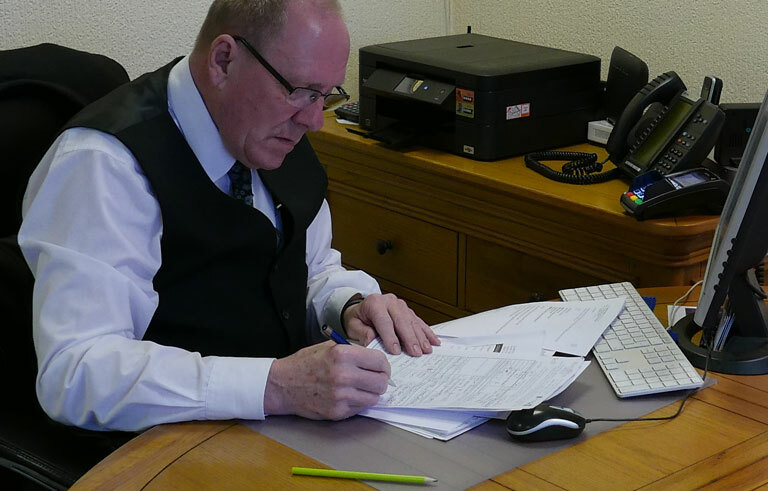 Staff at family-run and managed Harold Wood Funeral Services have spent seven decades helping families to organise funerals. You do not need to have registered a death at the appropriate Registrars in order to begin making funeral arrangements with us. 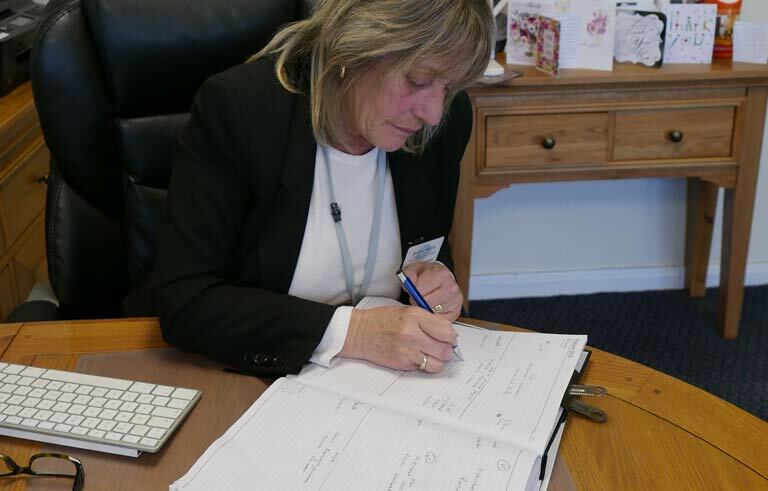 An itemised arrangement form filled in by an experienced funeral arranger at a face to face appointment is key to understanding any pricing involved. 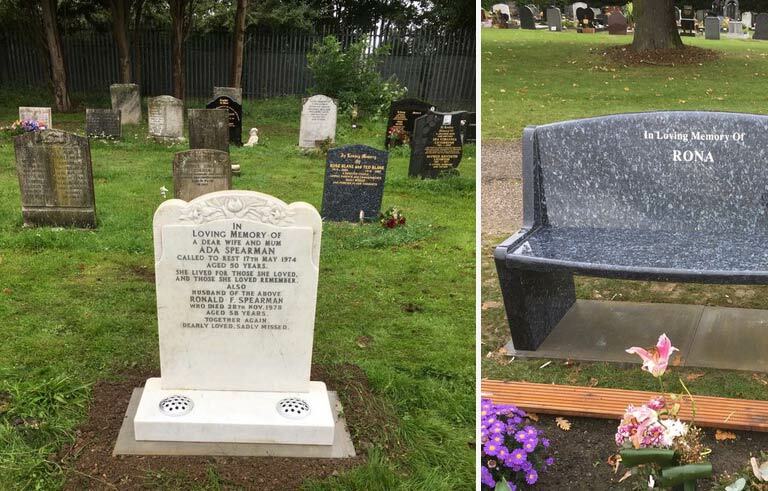 From helping you to let people know about a funeral, to choosing a headstone or memorial plaque for a garden. 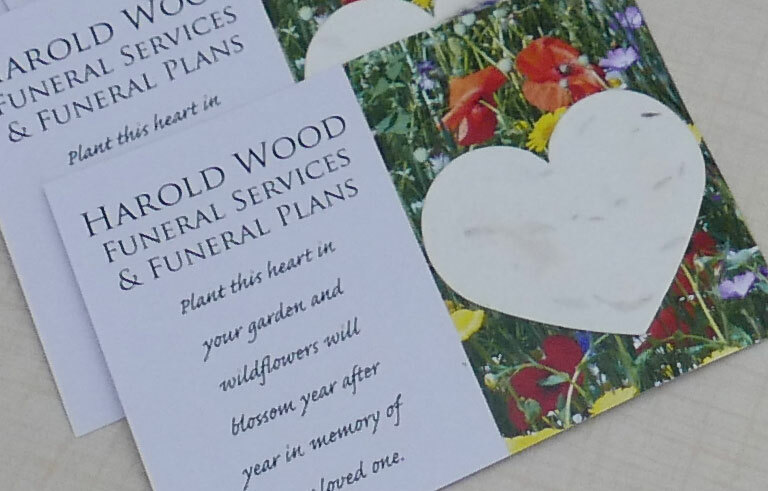 We can organise ‘Mourning Cards’ for posting to family and friends alerting them of your loss and details of the coming funeral; ‘Order of Service Cards’ for the day of the funeral; finally ‘Memorial Cards’ and ‘Thank You Cards’ for after the funeral. We work with several local florists to create floral tributes for any funeral – for the immediate family’s flowers and also on behalf of wider family and friends. You can order through us from examples and prices shown here. Graham Walker, Headstone Consultant, now with Harold Wood Funeral Services, is an expert stonemason. He has spent nearly 40 years helping families to successfully choose & place memorials for loved ones. If you’d like to speak to us directly, call free 24 hours a day. 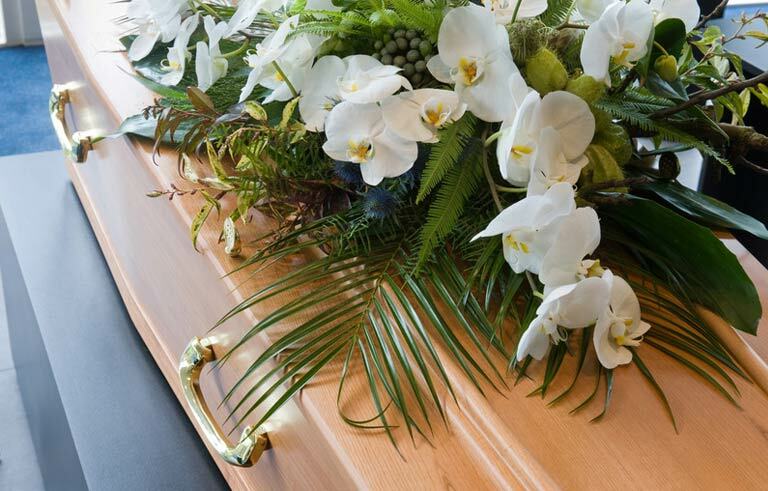 With a funeral plan, you can help to relieve your family of some of the financial stress and any worries about your funeral arrangements. Check out our latest news to see what we have been up to recently.